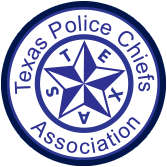 TPCA Foundation will host training classes and events in various fields as well as list upcoming training through other organizations in Texas. Please click on the class listing to find out more information and to register. If you would like to share a training opportunity, please call 512-281-5400.